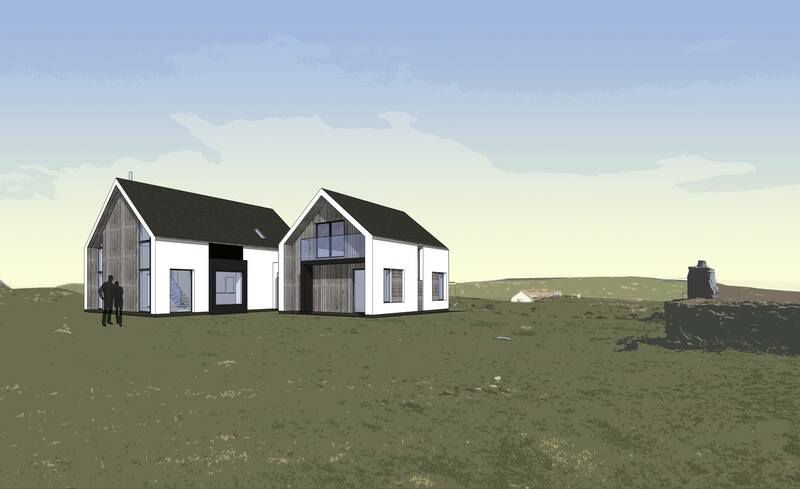 Work has commenced on site for a new 4 bedroom house in North Uist. The house features two one and a half storey wings. 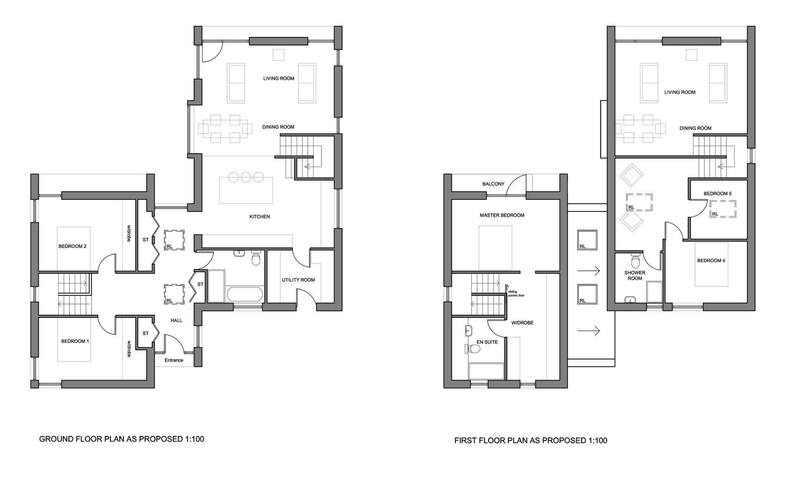 One with the bedroom accommodation and one with an open plan living area and guest bedroom suite. The main living area will have a double height ceiling with floor to ceiling glazing with views to the sandy beach beyond. A feature open tread staircase leads to a first floor mezzanine with a study and guest bedroom. The master bedroom has sliding patio doors on to a small balcony facing the shore. The house is predominantly white render with areas of naturally weathered larch cladding and slate roofing.